I had a bit of a sort out this past weekend and found a whole heap of Cut Outs that I had forgotten about, as you do. I think this window one is gorgeous, and would make a fab wedding card. I've been buying more leaf dies again - I have a problem lol. The silver ones are from a Prima set, love that they are a good size yet don’t overpower the flowers. I cut the butterfly from the same matt silver mirri card that I used for the leaves. And a peek at the inside. I can’t believe I actually managed to cut into this Craft & You Rose Garden paper pad from Noor Design. It is beyond sublime, just as well I bought a few spares. All the flowers and cut out are from Wild Orchid Crafts. Flowers used – English roses, 20mm open roses, 15mm open roses, cherry blossoms, hip rose buds, pearls and Blueberry Swirls window cut out. I love elephants, love them so had to colour up this cutie Elephant and Butterflies from Whimsy Stamps . I stamped out the image twice so I could colour up and cut out an extra set of butterflies for dimension. I adhered them after I had done the sky background using the cloud mask (links below from Noor Design). This mask makes skies a doddle to do. I went for a round card for a change, using the delish Lemoncraft papers. My daughter asked me to make a New Home card, and this funky little house stamp was just the ticket. I stamped the image onto watercolour paper and coloured with Distress Re-Inkers, then added a touch of glitter for a bit of sparkle. It’s not showing up very well, but I cut a circle from the top layer and raised that with foam pads, I then adhered the house with more foam pads to give extra dimension. 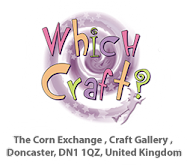 Welcome to the April 2016 Whimsy Stamps Release. Over the next 3 days the Whimsy DT girls will be showcasing all the *BRAND NEW* red rubber stamps. 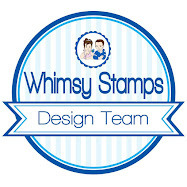 All the stamps as well as details on how to win some fabulous prizes can be found on the Whimsy Inspirations Blog, where you can also see the fabulous creations the DT have made with the new goodies. I’ve used Bunny on Present for my card today, just so sweet. The sentiment is from the Party Mini Letter Seals stamp set. The dots around the bunny are stickles glitter but it’s not showing up very well in the photos. The flowers are from Wild Orchid Crafts. I used chrysanthemum, magnolia, lilies and open roses and topped off the organza bow with a flower shape flat back pearl. I didn't get round to making any Easter cards, but then again I don’t send them so have never bothered making any. So I decided to use this Saturated Canary cutie on a card that can be used at any time, not just Easter. Love love love the colour of these flowers, so fresh and pretty. The little pleated heart is a Dovecraft embellishment, it fitted with the colours and design so well. I absolutely love these Dove Art Studios stamps by LDRS. The detail is phenomenal, yet they are quite easy to colour. I decided to dig out my re-inkers for a change, and love how this one turned out. The papers (linked below) are from two different pads from Noor, they work so well together. I don’t often use black, but I love the drama it gives. I die cut the flourish leaves and the little bicycle from glitter card, oh man it’s gorgeous in real life. I also made the little flowers by diecutting them from mulberry paper and colouring the centres with distress ink. I find mens cards so darn difficult, yet these new stamps make them a breeze! This months challenge at Noor Design is "Anything Goes". I'm running behind (as always) but here's my contribution to the challenge which started on the 1st April and runs for a month. When I saw this digi stamp on Etsy I couldn't click the buy it button fast enough. I swear I sprained my clicker finger, not clever when I spend so much time 1-clicking ebooks on Amazon lol. The stamp is called Little Mermaid, and it’s been shaded by the artist so makes colouring an absolute breeze. The little turtle was coloured with Walnut Stain distress ink whilst it was still in the die, then I gave it a coat of glossy accents to highlight the shell. Love the seaweed, I think I’ll be using this for leaves a fair bit. I really love how this card turned out, I had such fun playing with different techniques – things I've been meaning to try for ages and never got round to. I must be feeling better lol.